Soaps are often very logical, with storyline happenings and conclusions ironed out well in advance. Even so, for many veteran soap watchers it’s hard not to second guess the logic of soap writers. 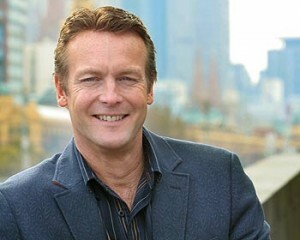 For example, we can see exactly why The Young and the Restless recently decided to make Paul Williams (Doug Davidson) the biological father to Dylan McAvoy (Steve Burton). Both are heroic characters and Davidson and Burton are unquestioned stars of the show. But did they have to do it in a storyline that engendered absolutely no suspense? Specifically, Paul was shot and lingered near death for many weeks. Dylan, suddenly informed he was not Ian Ward’s son but Dylan’s, decided to give Paul part of his liver in a transplant operation, even though it meant endangering his own life because of old war injuries. Would Paul and/ or Dylan die? Really, this is supposed to be a mystery. Viewers know that Davidson has been on the show for 35 years, and Burton has been its big deal star since coming over from General Hospital last year. Come on, nobody in this storyline is going to die! So far, however, the acting alone has carried the storyline. Davidson, whose character is the chief of police, is usually used just for background, but here he’s getting a real chance to shine. He really delivered when Paul woke up from surgery and hallucinated that son Dylan was really his dead son Ricky who Paul shot two years ago. Davidson won a Daytime Emmy for Best Actor for that storyline. As I write this, Dylan has just passed out in the hospital after his operation and his life is very much in danger. But is he going to die? I don’t think so. General Hospital offers another unanswered question concerning plot logic: One of the nice things about soaps is that men and women can develop a platonic relationship like the one shared by Sam Morgan (Kelly Monaco) and Patrick Drake (Jason Thompson). He recently consoled her when Silas left Sam alone in the park during a date so he could tend to his wife Nina, who had faked having an accident. Sam is also investigating a different car accident in which someone (probably Rafe) ran Patrick and Sabrina off the road, forcing the premature birth (and subsequent death) of their baby Gabriel. All of this begs the question: if Patrick and Sam are such good friends, why hasn’t Patrick told Sam that her husband Jason is alive? Patrick’s wife Dr. Robin left him so she could find a solution to bringing Jason out of some kind of vegetative state. It’s a puzzle to logical viewers why Patrick still hasn’t disclosed the big storyline secret that Jason is still alive to his wife. What gives? This year’s Daytime Emmys – for the first time, streamed live online but not televised — they turned out to be relatively painless. Without commercials, the show flowed nicely, and was capably produced. Hostess Kathy Griffin was funny and full of salt and vinegar as always. The absence of television cameras did not discourage the celebrities and glitterati of the daytime world from showing up, including everyone from legendary game show host Monty Hall to plenty of nominees plus Best Show presenter Donna Mills, who entered to the theme from Knots Landing. The big winner was The Young and the Restless, which won for Best Show. A win for Best Writing (picked up by Shelly Altman) set the tone for Y&R’s winning night. Amelia Heinle (Victoria) won for Best Supporting Actress. Billy Miller, who had the storyline of the year with his character Billy’s daughter’s death in an automobile accident, won Best Actor. Hunter King (who plays Summer) won for starring in a storyline which centered on the identity of her biological father. A most pleasant win was for Special Episode in which the late Jeanne Cooper, who played Katherine for decades, was honored posthumously. Executive Producer Jill Farren Phelps gave a very gracious acceptance speech. She attempted to give another for Y&R ’s win as Best Show, but was interrupted by Griffin, who was hurriedly trying to close the webcast. It was a very good year, too, for Days of Our Lives which won Best Younger Actor for Chandler Massey (ex-Will) and Best Supporting Actor for Eric Martsolf (Brady). Martsolf heartily thanked co-star Eileen Davidson, who won for Best Actress. She kiddingly thanked frequent winner and fellow nominee Heather Tom (Katie, The Bold and the Beautiful) for “sharing” the award. Davidson finally got the award she deserves for creating the iconic daytime character Kristen DiMera. There were echoes of cancelled soaps: One Life to Live won Best Direction. Venice, an online soap, won for Best Limited Series soap. The statuette was picked up by one of its stars, an emotional Crystal Chappell. The Red Carpet Show was thorough, interviewing everyone from soap stars to soap bloggers, but marred somewhat by the flat jokes of inexperienced nonsoap hostesses. But all in all, the Daytime Emmys 2014, the first to be streamed online, weren’t bad at all. As a matter of fact, they deserved to be televised. Should Children and Babies Be Killed off on Soap Operas? Back in the day … way back, actually … it was unheard of to kill off children, especially babies, on soaps. The traditional audience was, after all, stay at home moms who watched or listened to their soaps while rolling out pie crust or ironing the family laundry. Today, the taboo has long since been abandoned, though such storylines are still distasteful to many viewers. Thus the dilemma lingers. Though this high stakes plotting has engendered much good drama, some of it award-winning, it’s done at the cost of making at least part of the audience queasy. This rule was first broken in the early 60s, when As the World Turns killed off Chucky, Lisa’s son, in a car accident. Others followed. In the late 80s, Laura, Brooke’s daughter, was similarly killed in a very affecting storyline All My Children. Just this year, young Delia also was killed in a car accident on The Young and the Restless, bringing about many nominations for the show in next week’s Daytime Emmys. The controversy sharpened this month when General Hospital chose for a premature baby, Patrick and Sabrina’s son Gabriel Drake Santiago, to die at the age of barely six months. The baby was born prematurely after Sabrina and Patrick were run off the road by a bad driver, who this week was revealed to be young Rafe. Sam, a private investigator, is currently investigating to find out who caused the accident. The storyline has been given lots of time by GH. Sabrina and Patrick were seen tending to their baby in the ICU for over a month. The baby’s death led to many dramatic moments, such as when grieving mother Sabrina developed temporary amnesia, not even remembering the death of the baby, and planning her “wedding” to Patrick (which had taken place seven months prior) the day of the funeral. The baby’s real funeral is scheduled to take place this week. Storylines like these, controversial or not, certainly bring out the best in the actors involved. Jason Thompson, who is always excellent as Patrick, was so good he frequently upstaged Teresa Castillo as Sabrina – quite a feat since she, too, was in top form. Also excellent in this storyline has been Marc Samuel who plays Teresa’s best friend and moral support Felix. Yes, yes, I know times have changed. Graphic violence, grisly death and raw treatment of life’s calamities in general, once confined largely to pulp fiction and film noir, now are standard fare on television drama. I get it. Even so, when children are involved … count me among the queasy. So what do you think? Is it okay to kill off babies and children on soap operas, or are these storylines just too hard to take? Drop me a line. The hostess of next week’s Daytime Emmys will be Kathy Griffin. She’s fast and funny should certainly keep the proceedings moving and most entertaining. Indeed, Ms. Griffin is such a draw, she may help the ceremony recoup a good portion of the audience it is certain to lose by moving from television to internet broadcast. I’ll be watching on www.daytimeemmys.org next Saturday, June 21 at 8PM EST. The Bold and the Beautiful just finished two weeks of exciting drama centered around the soap’s on-location trip to Dubai and Abu Dhabi for Brooke and Bill’s aborted wedding. The sequences featured great scenery and exciting action footage. As you know, Bill planned a memorable elopement for himself and Brooke to the Middle East. Unfortunately, Quinn sent a photo of herself and Bill in bed to Ridge, and Ridge immediately jumped on a plane to the glitzy emirates to stop the wedding. The wedding ceremony held on the beach, and was as beautiful as could be in this stunning setting. But Ridge arrived, halted the ceremony and absconded with the bride, dragging her off to a waiting helicopter. Then Ridge, shocked to observe that the helicopter was being piloted by one of Bill’s men, Justin, actually fell out of the flying chopper! It was a spectacular fall and as of now it’s unclear whether Ridge survived. In any event, Kaye’s new Ridge is too strong a character for the show to lose, though chances are Kaye just won’t be seen on screen for a few weeks. This is a shame since his performances have become one of the great highlights of B&B over the last few months. We have a feeling he’ll be back. Also spectacular this week was the debut of Michelle Stafford on General Hospital as Nina Clay, Silas’ wife, who had been in a coma for twenty years. She showed up all full of sweetness and clinginess at little Danny’s birthday party. Only the day before, Silas and Sam had declared their love for each other. Stafford of course played the show-stopping role of Phyllis Summers Newman on The Young and the Restless for fourteen years. Her strong performances in her first GH scenes show great promise for a Nina-Silas-Sam triangle, which should make quite a strong story for a long time to come. The Daytime Emmys, which for the first time in decades will not be shown on television, will be streamed live at www.daytimeemmys.net on June 22nd at 8PM EST. This should be an interesting show and we’ll be watching! Right now, The Bold and the Beautiful’s “Dollar” Bill Spencer is on top of the world: He’s standing on a balcony in a hotel in Dubai about to marry the current love of his life, Brooke Logan. He’s also the CEO of Spencer Publications. But can Bill keep having it all? Of course he thinks he can. Bill is the epitome of self-confidence to the point of arrogance. He is mucho macho. He habitually wears skin tight shirts and sports bling, including a sword necklace which all the Spencer men wear. This includes his two illegitimate sons Liam and Wyatt and his soon to be step-son R.J. Forrester. He also has a baby son named Will with his ex-wife Katie Logan. Bill was born with the proverbial silver spoon in his mouth. He is the son of nasty, obnoxiously self-confident Bill Spencer Sr., mogul and friend to Stephanie Forrester. His sisters are the late Caroline Spencer and Karen Spencer, the latter a lesbian whose lifestyle Bill Jr. approves of in one of his most positive aspects. When Bill first came to Los Angeles he married Katie, a woman who is the most opposite of him in many ways. She is gentle and kind and not pushy. Katie and Bill’s marriage broke up, some say, because in a post-partum depression Katie pushed him away. But undoubtedly the real cause was the fact that Bill started a torrid affair with his sister-in-law Brooke. In Brooke he met his perfect match. Brooke is as self-centered as Bill and believes love is all and that her whole life is based on love. Bill lost Brooke for a while but through his own steadfast belief got her back. The two finally found the opportunity to get married and will do so — unless someone (like Bill’s enemy Ridge Forrester) comes to break up the wedding. What makes Bill Spencer work is the vastly underrated actor who plays him: Don Diamont, who once played Brad Carlton on The Young and the Restless. He plays the role with tremendous energy and edge and thus brings out the best in his scene partners. This year three of them have been nominated for Emmys, including Heather Tom for Best Lead Actress as Katie the wife Bill wronged; Scott Clifton as Liam Spencer, Bill’s new found son as Best Supporting Actor and Katherine Kelly Lang, Best Lead actress nominee as Brooke, Bill’s love. But there’s no nomination for the excellent Don Diamont – and that’s a tremendous oversight. Best Actress: Eileen Davidson (Kristen, Days of Our Lives) by all accounts had a particularly good year, and she is the favorite in this category. Also nominated from Days was Arianne Zucker (Nicole). Katherine Kelly Lang (Brooke, The Bold and the Beautiful), who had her big scenes the year before when Stephanie died, was also nominated. But never underestimate Heather Tom, whose teary Katie on B&B had a stellar year as her character survived her husband Bill’s infidelity with Brooke. Tom has won the statuette five times before. Best Supporting Actress: Y&R’s Elizabeth Hendrickson (Chloe) and Melissa Claire Egan (Chelsea) had great years as Chloe’s daughter Delia was killed by a drunk driver. Also nominated from Y&R as the so-so Amelia Heinle (Victoria). Kelly Sullivan, whose Connie was murdered on GH also had a very emotional year. But the best of this worthy slate is Jane Elliot (Tracy, GH ), who virtually steals the show in every scene she’s in, and should be the big winner here. Best Supporting Actor: Nominees in this category include Steve Burton (Dylan, Y&R), Scott Clifton (Liam, B&B), Dominic Zamprogna (Dante, GH) and Eric Martsolf (Brady, Days). But Bradford Anderson (Spinelli, GH), who had tear-filled scenes as baby Connie’s biological daddy before departing for Portlandia, deserves the win in this category. Best Younger Actress: This category is a toss-up. Nominated are Kristen Alderson (Kiki, GH), Linsey Godfrey (Caroline, B&B), Hunter King (Summer,Y&R), Kim Matula (Hope, B&B) and Kelley Missal (Danielle, One Life to Live). Each is eminently watchable and has much to recommend her. Best Young Actor: Another category where there is no clear winner among the deserving nominees. Nominated are Bryan Craig (Morgan, GH), Chad Duell (Michael, GH), Max Ehrich (Fenmore, Y&R), Chandler Massey (ex-Will, Days) and Daniel Polo (Jamie, Y&R). Best Show: Incredibly, GH, which had a relatively good year, was not even nominated. On the list are the cancelled One Life to Live; Days (which won the Emmy last year) and Y&R. But clearly the winner, à mon avis, should be the excellent B&B, which had a year with virtually no bad storylines. 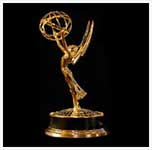 The Daytime Emmys will be awarded on June 22nd at the Beverly Hilton Hotel. So far, no network has signed up to televise them, which is quite a statement on the state of daytime. They have been televised since 1974—but apparently won’t be this year as of yet. Are You Buying These Fanciful Plot Twists? The Young and the Restless’ faux Cassie: As Y&R viewers know, Cassie, daughter of Nick and Sharon, died when she was quite young. Recently, Sharon has been shown having extensive conversations with what she thought was Cassie’s ghost. But she really is a Cassie a look-alike, hired by Victor, who is in quest of finding out Sharon’s secret (that Nick really fathered Summer, not Jack). How would Victor find an exact Cassie look-alike, especially one of the right age? This story is cruel, and even took more of a cruel turn when Sharon turned to electroshock therapy (ECT) to extinguish her visions of Cassie. It is good, however — especially in scenes with Sharon Case — to see an adult Camryn Grimes, who is again playing Cassie, or more correctly, her look-alike. The Bold and the Beautiful’s suddenly crazy, neurotic Aly Forrester: When Ashlyn Pearce debuted as Forrester granddaughter Aly, she brought a real breath of fresh young air to the show, which is mostly filled with older adults. So how sad it is to see her character descend into a kind of neurotic madness, as she has taken to a real hatred of Hope’s suitor Wyatt Fuller. She will do anything to destroy Wyatt, because she feels he destroys Hope’s wholesome values, as made famous by the publicity for Hope’s “Hope for the Future” line of fashion. Recently, Aly has even been seen talking to her dead mother Darla, who was killed in an auto crash long ago. We hope this character makes a quite recovery from all this craziness and is not ruined for good. General Hospital’s A.J. is shot and Luke is not what he seems to be: Recently, GH has had a lot of fanciful storylines, not the least of which was that A.J. was shot by Sonny, supposedly because he killed Connie, which he did not. (Ava has confessed to the murder.) All his life A.J. has been endlessly and sometimes unbelievably in trouble, his antics filling way too many hours of GH drama. Remember when he, a life-long drunk, conceived Michael in the street with Carly? Remember when Sonny hung A.J. from a meat hook? This time, no matter how many times he swore not to destroy A.J., his son’s Michael’s biological father, Sonny took a shot at A.J. Will he live to die? Actor Sean Kanan is leaving the show. And if we are to believe GH’s Friday cliffhanger, it turns out that Luke is the one who has been bankrolling mobster Julian Jerome after all. Huh? Sure, Luke has not been himself since he was wrongly imprisoned in Heather’s lunatic asylum. But where would he get the money or the resources to be behind such a major mobster like Julian? One of the great things about daytime soap opera is how strong the women characters generally are. They have to be that way to survive the problems continually thrown at them in their everyday lives. At the same time, they must be vulnerable to the vagaries of romance. The head may know best, but the heart wants what the heart wants. One of daytime’s strongest women characters is also one of its historically most vulnerable. She is Nikki Newman, as played with such phenomenal depth and power for the last thirty years by Melody Thomas Scott on The Young and the Restless. For the last six months Nikki has been fighting a situation that has shaken her to her very core: She found out the baby she gave up to adoption as a young teenager is in fact the new man in town, Dylan McAvoy (Steve Burton). How, she wonders, can she earn his filial devotion? The baby was conceived under very shady circumstances. As a young girl, Nikki joined a cult led by a very influential, shifty and pushy man named Ian Ward. Ward seduced the young girl and Nikki carried the baby to term, giving it up for good with the assistance of some local nuns. One of the first things Nikki did after she revealed herself to the grown Dylan as his mother was to make sure that he knew that Ian, the rat, is his biological father. Dylan researched Ian and found out he was still up to his old tricks, living as a shady youth counselor named John Darwin. Darwin came to Genoa City and has since haunted the lives both of Nikki and Dylan. Ian’s unwanted attention has been particularly frightful for Nikki, especially when he breaks the security of the Newman estate and shows up in Nikki’s living room. But what’s really tested Nikki is Ian’s plot to similarly influence and seduce her young granddaughter Summer, who is the daughter of Nikki’s other son Nick Newman. As played so beautifully by Scott, Nikki is able to be strong despite her fear. Even though she was frightened, she stood up to Ian, telling him she is not afraid of him. He requested a $5 million payoff to leave town, and Nikki showed up with a fraction of the amount. Then she scared him away from Summer, demonstrating her great strength as a character and a leading lady. One of the great highlights of this plot has been the performance of Ray Wise, a soap opera veteran and perhaps best known for the role of Leland Palmer on Twin Peaks. His Ian Ward is just the right shades of charming and smarmy and has had wonderful scenes with both Scott and Hunter King, who plays Summer. Now that Ward has been exposed as a scoundrel, will he turn up dead? And will it be Nikki — or someone else — who kills him?